A website is the ‘shop window’ for professional services such as Law Offices. It’s also often the first port of call for potential clients looking for these services. It is crucial that a website conveys qualities of trust and credibility in all the languages of its audiences. Doing so supports the reputation built by these firms. How information is displayed on a law firm’s website in all languages is of principal importance for building trust and creating a good impression. To effectively convey your branded message to all target audiences, official translation and localization must be at the heart of your website strategy. Examples of website translation mistakes are easy to find and, fortunately, easy to avoid if you have the right tools and prior knowledge. Below are five of the most common mistakes made by law firms, along with advice to prevent falling into the same traps. The temptation of machine translation for creating multilingual websites at a low cost and quick turnaround lures many firms towards these services. However, the poor syntax, grammar, and cultural insensitivity that results can damage credibility and create a poor first impression. Translated landing pages will reach a wider audience, but if a confusing message about your services is conveyed you will be unable to convert people to paying clients. Hiring professional legal translation services are the most cost-effective and efficient way of avoiding this mistake. Experienced legal translators will be subject matter experts in the relevant legal fields. They’ll have the appropriate skills and tool at their disposal to optimize your pages for search engines through their understanding of localizing content for target demographics. After taking the time to translate and localize web copy, the next steps of the conversion funnel must be considered. Beginning your conversation in a prospect’s language only for auto-replies to arrive in a language that is unintelligible to them is certain to disrupt their journey. Sensitive, technical, and urgent legal matters rely on clear understanding on both sides. It is essential that all steps of a prospect’s journey are delivered in a language that they can understand to ensure business is not lost. Often, website visitors will have been directed to your firm by recommendations from friends, family, or colleagues. In their search for a legal firm to take on their case, lawyer profiles and service descriptions will enable them to make their decision. To avoid losing this warm lead, your lawyer’s profiles and descriptions should be translated. Doing so will also decrease bounce rates and improve conversions. Google Analytics will provide the information necessary to ascertain which lawyer profiles receive the highest inbound traffic, allowing you to prioritize which profiles to translate first. This will confer the greatest impact in the shortest time to provide you with a quick win for your firm’s website. Translating marketing assets such as email communications and newsletters for audiences of other languages is worth your time. The use of email and newsletters to connect with all clients is an essential part of your marketing team’s toolkit. As these are often the first point of contact, translations must be of the highest quality. Sending translated newsletters and emails to arrive on national holidays that are relevant to your target audience will demonstrate an understanding of their culture as well as their language. They will also provide an opportunity to build trust and credibility with your audience. Creating multilingual websites that avoid the pitfalls above will be ineffective if your firm cannot support clients beyond their digital interactions in these languages. Think beyond your website to ensure you can integrate website initiatives with your internal and customer support initiatives. Think about the entire client journey: If they call with a query, can your customer support team converse over the phone or via email in a language that they can comprehend? If a client needs to supply further documentation pertaining to their case, can your firm interpret them so that they can be understood? Speaking a client’s language at all points of their interaction with your law firm will allow you to establish trust, build credibility, and develop a professional relationship with them. You can always opt to include a part of your website listing the different languages you service. Demonstrating a clear understanding of your audience by communicating in a language they understand will convince clients that your firm is able to tailor its services to their requirements. It will also win you additional recommendations for further business. By starting with accurate website translations, the entire onboarding process from visitor to client becomes faster, easier, and overall more effective. About the Author: Morningside Translations is a leading translation and localization company with a worldwide team of over 5000 linguists. They are dedicated to client satisfaction and in bridging the gap in communication between businesses languages. They bring personalized attention and a passion for excellence to every translation assignment, regardless of company size or industry. Kevin “Old Boy” Chung may be a fresh face to ONE Championship, but the promotional newcomer showed his immense talent and had an impressive debut this past June. The 24-year-old Korean-American standout kicked off the main card of ONE: LIGHT OF A NATION with an exciting performance, defeating Chinese grappling ace Zhong Qing Ya via second-round technical knockout in their catchweight contest. Chung got the job done in the second round, where he landed crisp punches and kicks from side control, and when Zhong turtled up, “Old Boy” took advantage of the position and delivered a pair of knees to the head. It was all over from there as veteran referee Yuji Shimada stepped in and called a halt to the bout to award the stoppage victory to Chung. Chung is taking the greatest risk of his budding young career in his next trip to the ONE Championship cage as he has an opportunity to establish himself as one of the premier bantamweights under the promotion’s banner. In his upcoming bout, Chung is set to test his mettle with former world title contender Kevin “The Silencer” Belingon on the undercard of ONE: LEGENDS OF THE WORLD, which takes place at the 20,000-seater SM Mall of Asia Arena in Manila, Philippines on 10 November. “I am super excited to visit the Philippines and put on a show. I know I am in his backyard, but I have no pressure on me like I did when I competed locally. It is going to be a wild night,” Chung said. With a professional record of 16-5, Belingon is known as a fierce competitor with the ability to finish opponents in a variety of methods. Moreover, the 29-year-old Baguio City native owns seven huge knockouts on his resume and is one of the most feared strikers in ONE Championship’s deep bantamweight division. Although a mere glance at their records shows a sizeable gap in experience between the two bantamweights, Chung is confident in his own talent. “To the common eye, it may be a mismatch on paper due to records and experience. But I am confident in my skills and feel like this is my time. Anything can happen, and I have the skills to finish him,” he stated. Chung believes that great risks result to great rewards as a decisive win over Belingon could instantly catapult him into a championship clash with division kingpin Bibiano “The Flash” Fernandes. “I am not looking past Belingon and am just focused on the task at hand. However, when my hand is raised, I would like to challenge Bibiano Fernandes in Korea,” he expressed. Like Chung, Belingon is looking to get a crack at Fernandes’ ONE Bantamweight World Championship once again, separating himself from the rest of the weight class’ pack with his three-bout winning streak. Belingon aced his last three outings, dominating Tajikistan’s Muin Gafurov via unanimous decision in October of last year before stopping fellow title challengers Toni “Dynamite” Tauru and Reece “Lightning” McLaren in the first round earlier this year. Even though Belingon has the upper hand in the striking department, Chung has no qualms when it comes to trading kicks and punches with the ferocious Filipino striker. “A lot of people will look at us and say he has the striking advantage. But I have a slight height and reach advantage,” he explained. “I feel like I can stand with him. A lot of guys do not believe they can and look to wrestle, but I think I can hurt him on the feet. It is a great feeling knowing that. If there is any point in the bout when I am in trouble, I know that I have other weapons to go to,” Chung added. Chung asserted that he has a fair share of knowledge in terms of delivering blows from a toe-to-toe stance, but if the marquee match-up hits the canvas, he is prepared to exploit the Filipino foe’s perceived vulnerability. “I know what his weaknesses are. I am sure he is working hard to correct that. Learning the proper mechanics of BJJ takes longer than a few months. Once we get in there and start throwing hands and it hits the ground, he is going to see that,” he mentioned. With a gritty opposition in front of him, Chung stressed that he is motivated to shock the world at ONE: LEGENDS OF THE WORLD. “It will be a barnburner, and I promise it will be the bout of the night. I will knock Belingon out within the time allowed,” he ended. With the revelation of the 20 Ripple Awards nominees, Miss Universe 2015 and UNAIDS Goodwill Ambassador for Asia and the Pacific Pia Alonzo Wurtzbach explained the importance to support and honor HIV and AIDS advocates through events like the Love Gala –Asia’s Premier Charity and Awards event on December 1. Wurtzbach, who is the Love Gala Ambassador, said, "It's about time that we acknowledge them, gave them their time to shine, especially on an event like this." "Hopefully, it'll give them a lot more motivation and drive to continue their work," the former Miss Universe said. Exceptional social advocates, influential people, game-changers, celebrities, local and international officials and advocacy groups are among those who will make a stand during the World AIDS Day celebration on the same day. Love Gala will take place at the elegant BGC Arts Center in Taguig City. During the gala, ten (10) outstanding Filipino individuals will be awarded with the first-ever Ripple Awards, which symbolizes a person’s unparalleled dedication and passion in changing the landscape of HIV-AIDS advocacy in the country and the world over. The Ripple Awards nominations closed last 15 September, and screening commenced after in which viable nominees are further evaluated by a sectoral panel of judges to complete the roster of awardees. One of the highlights of the Gala is a charity fashion show featuring one-of-a-kind creations by five of the Philippine’s top couturiers who have earned the respect of the international fashion industry, namely: Francis Libiran, Cary Santiago, Nat Manilag, Cheeta Rivera and John Herrera. 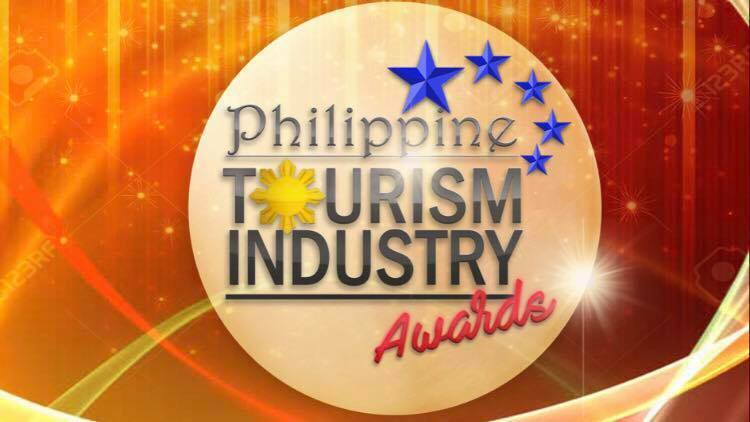 The event also boasts of world-class performances by Filipino talents. 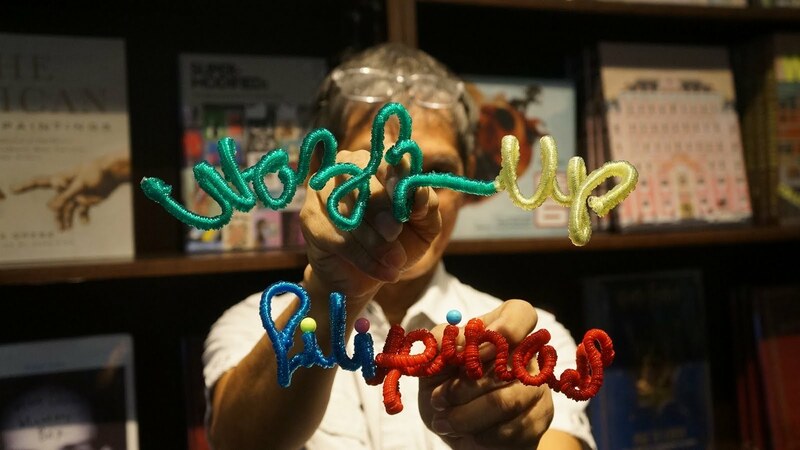 Conceptual photographer and advocate, Niccolo Cosme, will also display his artworks under his series, “Project Headshot Clinic X,” which celebrates its 10th year on World AIDS Day. An after party will be held at Nectar Nightclub along BGC Fort Strip. Help and take part in fighting the HIV epidemic by being a donor-guest and purchasing Love Gala tickets here http://lovegala.org/tickets/. Donor-guests can reserve the following seats: VIP (P7,000.00); Patron (P5,000.00); Balcony A (P1,500.00) and Balcony B (P1,000.00). Ten percent (10%) of the ticket prices will benefit the worthwhile activities of partner organization. Joining this year’s Love Gala is Miss Universe 2015 and UNAIDS Goodwill Ambassador for Asia and the Pacific, Pia Alonzo Wurtzbach. The Love Gala is a collaboration of private and public institutions and youth-oriented organizations that aim to augment the efforts in mainstreaming the HIV-AIDS advocacy to a larger audience, as around 30 incidences of HIV infection are observed everyday in the country, according to the latest data from Department of Health. Institutions and organizations coming together for Love Gala are the following: AIDS Healthcare Foundation, Better Together Initiative, Black Maria Productions, Castro Communications, Decent Image of South Signal Association (DIOSSA), Dentsu, Nectar Nightclub, Philippine National AIDS Council, Pinoy Plus Association Incorporated, Positibong Marino Philippines, Sustained Health Initiatives of the Philippines (SHIP), Taguig City Government, The Red Whistle, The LoveYourself Incorporated, UNAIDS, the US Embassy and World Health Organization-Philippines. Department of Transportation (DOTr) Secretary Arthur P. Tugade today ordered the activation of Oplan Biyaheng Ayos: UNDAS 2017, directing all DOTr offices and attached agencies to be on heightened alert to ensure the safety and security of passengers travelling during Undas. Oplan Biyaheng Ayos: UNDAS 2017 will be implemented from October 30 – November 6, at which time all transportation agencies are ordered to carry out 24/7 operations in terms of providing assistance to motorists and passengers. All transport terminals, booths, and counters must be manned at all times during the monitored travel period to ensure safety of passengers as well as prevent long queues and other untoward incidents. The concerned offices and agencies were also directed to communicate accidents and emergencies in real time and keep all hotlines and feedback mechanisms operational and adequately manned. Public advisories such as safety tips, common types of violations at expressways, and safety and security regulations in airports, seaports, and other transportation hubs shall be issued. Tarpaulins bearing emergency and hotline numbers will be posted in conspicuous areas of the agency’s jurisdiction. DOTr attached agencies and offices were also instructed to submit a post-Undas report for evaluation. In the continuing effort to increase consumer access to clean and sustainable energy, the National Renewable Energy Board (NREB) is conducting a series of public consultations to promulgate a new policy on renewable energy (RE) utilization in the off-grid areas, or for consumers in remote areas like islands, mountains and far-away villages. The consultations focus on the rules and guidelines for the Renewable Portfolio Standards (RPS) for Off-grid areas, a policy mechanism requiring electric power industry participants such as generators, distribution utilities, and suppliers to source or produce a specified fraction of the electricity they generate from eligible RE resources. The consultations are being held with the support of the Department of Energy and the United States Agency for International Development (USAID) through its Building Low Emission Alternatives to Develop Economic Resilience and Sustainability Project. “The proposed RPS rules for off-grid areas will contribute to the growth of the renewable energy industry through increased development and utilization of RE resources in the countryside where significant percentage are using expensive fuels. Thus we will be able to diversify energy supply,” Energy Secretary Alfonso G. Cusi said. “Ultimately, we see this to spur socio-economic development and help address environmental concerns,” he added. The Luzon leg of the public consultations for RPS was conducted on 5 October in Puerto Princesa City and on 12 October in Pastor Village, Batangas City. In the Visayas, the public consultation is scheduled Thursday (26 October) in Lahug, Cebu City. On the other hand, the fourth and last leg of the public consultation will be on 6 November in Cagayan de Oro City. Among the issues discussed during the earlier consultations include roles and responsibilities, pricing, competitive selection process and public bidding, monitoring and transparency, academic participation, long term plans and programs, technology, transmission, permitting, relevant RE policies and even international commitments on greenhouse gas emission reduction. The public consultations were attended by participants from national government agencies, RE proponents and developers, distribution utilities, electric cooperatives and the academe, among other energy stakeholders. 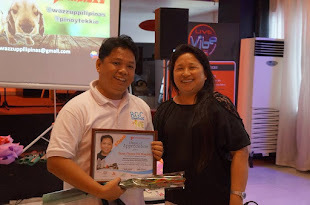 Led by NREB RPS Off-grid Committee Chair Urbano Mendiola and NREB Chairman Atty. Jose Layug Jr., the public consultations provided a venue to present the latest draft of the RPS Off-grid guidelines and to gather comments and suggestions from stakeholders before its implementation. The DOE also welcomes additional recommendations on the NREB proposed policy from the public, especially from the primary RE stakeholders. All interested stakeholders may send comments until 10 November 2017 at email: techsec.nreb@gmail.com. An electronic copy of the NREB proposed policy is downloadable at the DOE official website: www.doe.gov.ph. The issuance of the RPS guidelines is based on Republic Act No. 9513 or the Renewable Energy Act of 2008, which aims to increase the utilization of RE by enhancing national and local capabilities. Galleria	Duemila	proudly	presents	a	three-woman	exhibit	of	Visual	Artists	Monica	Delgado, Michelle	Pérez and	Atsuko	Yamagata. Closing	the	year	with	an	exhibit	on	form	and	material, the	three	artists	delve	on	the	physicality	of	paint	and	the	utilization	of	material	eventually composed	into	processual	emotions	and	intimate	intentions. Monica	Delgado,	stretching	the	boundaries	of	painting,	has	been	practicing	the	medium	through	various	processes	such	as	squeezed,	dripped	and	spreaded	out	resulting	into	collaged,	stacked	and	layered	works	that	blur	the	lines	between	mere	painting,	sculpture	and	object. Participating	in	different	international	art	fairs	and	exhibiting	in	different	galleries	in	the	Philippines,	Singapore,	Mexico	and	the	U.S,	Monica	Delgado	is	bringing	her	expertise	in	non-traditional	painting	to	different	continents	alike. Michelle	Pérez,	is	continuously	developing	the	idea	of	paint. The	new	works	composed	are	bursts	of	hues,	rallying	away	from	the	bold,	singular	colors	of	works	from	old. Holes,	a recent	element	in	her	pieces,	inhabit	and intrigued	a	set	of	her	art. Her	process	of	handling	paint	is	an	experimental	play	on	the	capability	of	the	medium	and	how	it	all	comes	together. Trained	in	drawing,	mixed	media	and	courses	in	impressionist	painting	in	the	Kuring-gai	Art	Centre	in	Sydney,	Australia,	Michelle	Perez	has	been	bringing	light	emotions	into	diffused	colors	using	ubiquitous	media. Atsuko	Yamagata,	utilizing	organic	materials	such	as	handmade	paper	and	ink,	is	deeply	inspired	into	the	movement	of	nature,	an	elegance	drawn	in	the	history	of	her	home	country	and	influenced	with	the	Filipino	contemporaries	she is	surrounded	by. Exhibiting	between	Japan	and	the	Philippines,	Atsuko	Yamagata	has	been	true	to	her	roots	and	is	currently	expanding	her	practice	in	the	country. Form	Out of	Material. Material	Out	of	Form	runs	from	November	11	- December	29,	2017.
follow	us	on	Twitter	and	Instagram	at	@galleriaduemila. 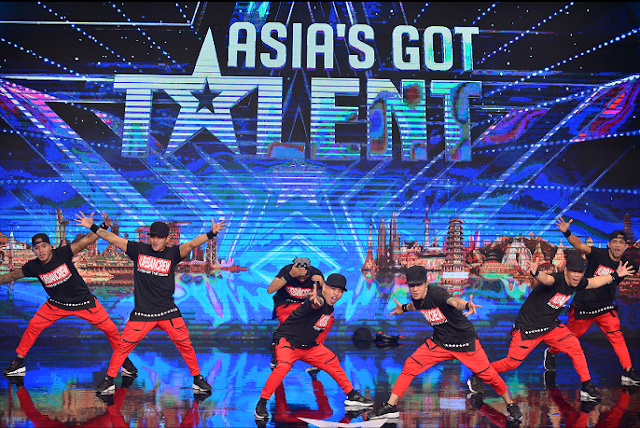 Philippines’ Urban Crew (#FlyersoftheSouth) owned the stage with a high-octane mix of mind-blowing spins, flips and tosses in last night’s episode of Asia’s Got Talent. The audience and judges were blown away with their boundless energy and professional choreography. “You guys definitely blow all the other acrobatic teams out of the water with what you guys just did. Wow! That was amazing,” Jay said. “I am in awe! It’s almost like we are celebrating what a body can do when you push that hard. 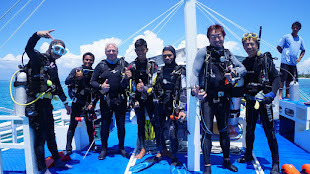 It was really impressive!” Anggun added. Back in the Philippines, members of Urban Crew teach dancing to kids in hopes of instilling good habits and take them away from vices. They are hoping to use Asia’s Got Talent as a platform to inspire kids back in the Philippines to follow their dreams, and use the prize money of US$100,000 to give back to their community. Urban Crew received three yeses and they are now in the running to appear in the Semi-Finals. For more exclusive behind-the-scenes clips, subscribe to Asia’s Got Talent Official YouTube Channel at www.YouTube.com/AsiasGotTalent. 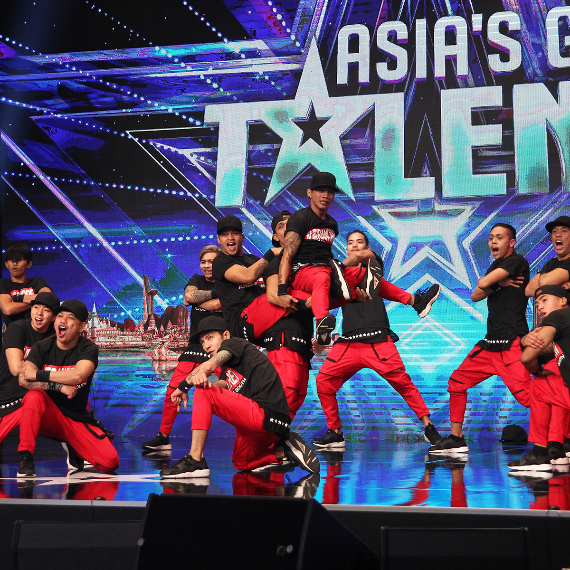 For a full recap of past episodes, visit www.AXN-Asia.com/AsiasGotTalent/Episodes. NEC Corporation recently announced the launch of a new high-end HPC product line, the SX-Aurora TSUBASA. This new platform drastically increases processing performance and scalability on real world applications, aiming for the traditional application areas, such as science and engineering, but also targeting the new fields of Machine Learning, Artificial Intelligence and Big Data analytics. With this new technology, NEC opens supercomputing to a wide range of new markets, in addition to the traditional HPC arena. Utilizing cutting-edge chip integration technology, the new product features a complete multi-core vector processor in the form of a card-type Vector Engine (VE), which is developed based on NEC’s high-density interface technology and efficient cooling technology. This new product line is not only binary compatible, it features the same hardware architecture and software environment, which is ideal for software developers and enables users to run the same application for a variety of systems, ranging from a deskside tower to the largest high-end configuration, without having to make changes inside the application. NEC will present the SX-Aurora TSUBASA at the world’s largest international supercomputing conference and exhibition, “SC17,” from November 13 to 16, 2017, Denver, Colorado, U.S.A. In a typical Filipino household, parents encourage their children to exert effort in their studies to have good grades on their report cards in order to eventually have a bright future. When parents talk of a “bright future,” they refer to white-collared professions like donning a white medical gown with a stethoscope in hand, wearing a business suit in a corporate setting, or holding a blueprint on a high-rise site with a hard hat. However, the story mood takes a dismally sharp turn when a child opts to instead wear four-ounce gloves to compete in three to five-round bouts for cold cash. Prizefighting does not require an educational background, which is why most people connote a social stigma to it by assuming that all it takes is hard guts to endure the punishing blows inside a ring or cage. On the contrary, homegrown Filipino talent Danny “The King” Kingad is bent on breaking the stereotype to prove that not all professional competitors fit into this erroneous category. Team Lakay’s Kingad, who takes up a bachelor’s degree in education at the University of the Cordilleras, has pursued his dream to be a mixed martial arts athlete while diligently working on his homework to get a college diploma. Similar to a comic-book superhero with two different lives, Kingad wears his school uniform in the morning with his books. Meanwhile, he puts on his training clothes to hit some punch mitts and kick pads in the afternoon. Kingad admitted that it is not easy balancing his time between mixed martial arts and his studies, but he is prepared to do what it takes for his passion. Kingad is still a second-year Physical Education major as he had to minimize his units per semester to properly manage his professional career and his studies. At the tender age of 22, Kingad has reaped dividends from his sacrifice as his name is starting to get recognized in the world of mixed martial arts. With Kingad becoming a highly-touted standout in the Asian region due to his remarkable winning streak, Team Lakay head coach Mark Sangiao believes that he could be the next big thing in the sport, following the footsteps of his senior colleague Eduard Folayang, who is widely regarded as the face of the Philippine mixed martial arts scene and currently reigns as the ONE Lightweight World Champion. “There’s no pressure on my part. To me, it’s a privilege to hear that from Coach Mark. I believe in what he said because I train with the best,” said Kingad as a response to Sangiao’s remark. Although the sport offers fame and fortune, Kingad insisted that education remains as his foremost priority, knowing that he will need to engage in another source of income as being a professional athlete is not a lifetime livelihood. “Education is very important because my career as a fighter will not last for a long time. By the time I reach 38 or 40 years old, I need to retire and have another day job to support my family,” he conveyed. “Even though I love fighting, there will be a time in my life as a fighter that I will have to call it a day in competing. Meanwhile, education is something that I can use as I grow older,” Kingad added. As Kingad continues to juggle his attention between schoolwork and mixed martial arts, he is in what is perhaps the biggest bout in his three-year prizefighting stint so far as the Team Lakay representative vies for the ONE Flyweight World Championship. Kingad is set to challenge division kingpin Adriano “Mikinho” Moraes in the co-headliner of ONE: LEGENDS OF THE WORLD, which takes place at the 20,000-seater SM Mall of Asia Arena in Manila, Philippines on 10 November. Much like a final examination before the end of every college semester, Kingad seeks to ace his tough test against Moraes, who is a more experienced cage competitor than him. The 28-year-old Brazilian champion has a stellar win-loss standing of 16-2, owning eights triumphs by way of submission and three by knockout. Rarely opposed inside the ONE Championship cage, Moraes thoroughly defeated archrival Kairat Akhmetov via unanimous decision in a rematch last August, snapping the Kazakhstani’s perfect 23-bout winning streak and unifying the coveted ONE Flyweight World Championship title. “Adriano Moraes is the biggest challenge in my young career. I know he is a tough and experienced fighter in the cage. But I believe in what I am capable of. I think I can compete with him on the ground and especially in striking,” Kingad said of his Brazilian foe. Kingad shrugged off skeptics’ opinion that he is ill-equipped for a world title shot, citing that athletes like him go through rigorous preparations with the objective of having their hands raised at the end. “There are many who keep on saying that it’s too early for me to have this championship opportunity. We are trained for this. All fighters dream to fight for the title. It might be a little bit early for me, but I consider it as a blessing,” he explained. If he will walk out of the SM Mall of Asia Arena with the gold-plated strap around his waist, Kingad plans to use it as a platform to remove the derogatory labels attached to prizefighters in general. “I am giving everything I have in training for this fight. Bringing home the belt will be a testament that pursuing your passion is not a hindrance in securing your future through education. 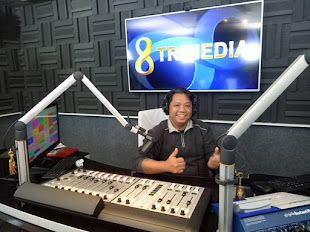 It is also one way of breaking the stigma that fighters have in our society,” he stressed. Mixed martial arts appears to be a sport for the barbaric and uncivilized, but essentially it is not as it is a competitive field that relies on both brain and brawn. Kingad desires to see himself among the growing number of world-class athletes that became titleholders in mixed martial arts with college degrees, proving that the word “unintellectual” has no relevance to the sport. But for now, Kingad will sit on his armchair listening to his professor while waiting for the school bell to ring so he can trek to the gym and train. The Perkins twins bring on their music influence as SM Youth's new music ambassadors. What's better than one talented singer? Twin musical talents, that is. Jesse and Christian Perkins are young revelations rapidly marking their territory in the local music scene, and as SM Youth's newest musical ambassadors. Twin talents in the industry aren't often to come by, but don't think their rarity stops there. The pair—born in the Philippines and raised in California—possess a unique set of talents that make them a potential force to be reckoned with as local music savants. Now that they've set up their home base in the Philippines, they're on a tour of the islands under the SM Youth banner. Jesse and Christian Perkins were born in San Juan, Philippines to an American father and Filipina mother. Settling in Menlo, California, the twins were athletic and academic superstars, even bagging college scholarships to one of the most prestigious universities in the United States. It was after a Philippine TV interview that the twins decided to pursue their love for music in the country, as they were found to possess an unmistakable talent for singing and playing instruments. While singer-musicians aren't uncommon in the country, the Perkins Twins are an even more complete package: as songwriters themselves, they pen their own music and even choreograph their own tunes. Talk about performance level—the Perkins Twins are the perfect duo to perform for and represent SM Youth's thousands of followers. The Perkins Twins, together with their family, have always championed social advocacies and choose to work with positive brands and organizations. They are celebrity ambassadors of World Vision Philippines, tagged as The Voices of Human Trafficking for NGO Global Impact Philippines, and actively work with the Department of Education (DepEd) as Ambassadors for Anti-Drugs, Anti-Drinking, Anti-Smoking, Anti-Bullying and Purity. The twins have also volunteered at Smokey Mountain and worked with the Bob Tebow Foundation and Kids International. SM Youth has always championed the vibrant Filipino youth culture. With the hottest young names as the brand's key faces, a viral model search that revealed the best untapped modeling talent in the country, and a slew of musical ambassadors that preceded the Perkins Twins, the brand has proven to be the best platform where the Perkins twins could present their talent to the country. After all, SM Youth has proven that it is more than just a fashion brand: along with great style, the youth culture values creativity, talent and self-expression just as much. Catch SM Youth and the Perkins Twins as they front the brand as its newest music ambassadors. Visit facebook.com/SMYouthLifestyle or follow @SM_Youth on Twitter and Instagram for more on the Perkins Twins and other promos. This November, fear the supernatural as Ai Enma returns to drag your foes to hell in Hell Girl Fourth Twilight. Likewise, fear the mundane in Classroom of the Elite, where mediocre students are weeded out and only the elite survive! At the prestigious Kodo Ikusei Senior High School, almost 100% of the cohort goes on to enter university or find employment. Students here are given the freedom to do almost whatever they want, including talking or sleeping in class, but the truth is that only elite students receive the most favourable treatment. New student Kiyotaka Ayanokoji is placed in D-class, where the “inferior” and problematic students are relegated to. Along with his classmates, they’ll have to work to bring up the rank of the class or face possible expulsion! Plan your writing, define the goal and the value that you will provide for the readers, think what impressed you the most while traveling and write it in the essay. If you like visiting different places around the globe or if you have had only one trip so far, you will face the need to draft about it. It can be your inner desire to note down all the excitement in the tale. Or you can simply get the task at the college where you are studying. There are no strict rules like to compose five lines of the text for one paragraph. There’s one secret. We have borrowed it from https://newtonessay.com/write-my-essay. We’ll give you a few tips on how to express your thoughts in one text. If you are writing a text that will be read by many people in the future, you should clarify the goals that you want to reach with this text. Do you want to tell a local joke of the country you have visited? Do you want to show the world how beautiful the seascape or cityscape is? You choose the goal and it should be the reason for reading your tale. There’s one more trick that will make people want to read more and more of your texts. It’s the values that you provide for the readers. This piece of information should provide something new, unique and useful for your audience. Otherwise, there’s no sense in reading it. Is there a reason for writing a text that no one will ever read? You have several variants of how to describe the location. You can use adjectives that represent your subjective vision or you can totally dismiss them. You can write how marvelous the sunset is from the highest peak of the mountain or you can draft about the height and the colors you see. You will provide different effects on the readers. If you have a specific goal, it will be easy to define what kind of information you will express in the text. ● What mental state you have. You are not limited to using all of them in one text. You can bring the readers to any of the places that you have visited and let them experience the same perception and mental states as you have had. You will have to rewrite your text for several times in any case. It’s good to have enough time before the deadline to compose the text, put it aside for a few days and read it again. Travelling is a great opportunity to make your life views broader. There can be a lot of things to compose about in your tale, but we advise you to focus only on the things that matter to you personally. You will have a stronger interest to finish the task on time and make your text stand out among the hundreds of similar ones. There’s no party like a Halloween party! Dress your little ones up as cute aliens, adorable astronauts, cool storm troopers, or whatever (Your creativity is the only limit!) because Bonifacio Global City is gearing up for a Galactic Invasion this Halloween! On October 29, Bonifacio High Street Activity Center will turn into space for the ultimate trick-or-treat party for kids of all ages. Head over to BHS from 4PM onwards to join the Trick-or-Treat parade and score loot bags and other prizes. Special Halloween loot bags are also up for grabs for a minimum purchase of P2000 from any Bonifacio High Street, One Parkade, and Two Parkade store on the same day. It’s the complete Halloween party you shouldn’t miss! From acting workshops, to storytelling and art sessions, to Science experiments care of The Mind Museum, and even karaoke and inflatable toys, there’s definitely something for everyone. Of course, it wouldn’t be a Galactic Invasion without one of the most successful movie franchises of all time. Star Wars fans are in for a special treat as The Book Stop project holds Star Wars Quiz Night, a display of knowledge of everything about The Force. Quiz is at 6PM. “Some of our fondest memories as kids are these Halloween events. That’s why BGC strives to give a unique and memorable experience especially for the kids. We prepared lots of fun games, entertaining performances, and one-of-a-kind activities that they’ll remember for years to come,” said Sean Luarca, BGC’s Marketing Manager. Bonifacio High Street’s Galactic Invasion is an open-for-all event organized in partnership with Mommy Mundo, a community of moms dedicated to child care and development through various fun activities. For more information, visit BGC on Facebook at https://www.facebook.com/bonifacioglobalcityph/ or https://www.facebook.com/BoniHighStreet/. In a bid to widen its reach and cater all of Pampanga, JENRA announces the inauguration of its newest branch slated to happen on October 27. Now on its fifth supermarket chain, the biggest homegrown retail player in the province continues its trademark of bringing value-for-money products and the best shopping deals for the Kapampangan locals. Jumbo JENRA Dolores, the newest addition to Tan Song Bok (TSB) Realty and Development Corporation’s line of commercial shopping center opens today in one of the province’s most prime location. Strategically located in the heart of San Fernando, the capital city of Pampanga and the gateway to the rest of Central Luzon, Jumbo JENRA Dolores is envisioned to be a retail shopping haven amidst the bustling community of Dolores. Considered as a bigger and better addition to the JENRA family, Jumbo JENRA Dolores is only unveiling the first phase of the development. It is the biggest among the five in terms of selling area and there a lot more to look forward to as a commercial center will soon open within the complex. This is in line with the company’s vision of establishing JENRA as a one-stop-shop for every need. More than just a commercial center, the JENRA brand has grown close to the heart of the locals as it’s been a part of every household in the progressive province of Pampanga. The thrust of JENRA is to provide a venue for retail grocery shopping while offering affordable wholesale prices. 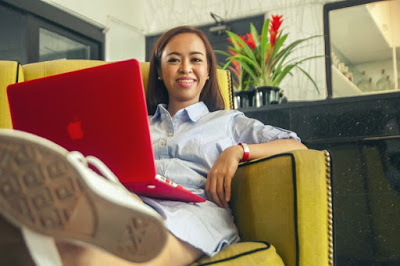 As the brand continues to embody its signature of “Sa Presyo at Serbisyo Sigurado Ka,” JENRA already succeeded to be known to offer the lowest commodity prices among all retailers and wholesalers in the region. “Because of our reasonably priced items and offerings, JENRA is now a platform for local businesses to flourish. Through the years we have assisted many small retailers and sari-sari store owners to succeed in their trade,” shared Byron John T. Siy, General Manager of TSB Realty. “We are a business that also serves the best interest of our fellow Kapampangans, thus we are not just offering products that fit the budget but we also support local livelihood and create jobs,” Siy added. The development of JENRA supermarkets around Pampanga has since increase urbanization and modernization in the province. The brand also introduced state-of-the-art facilities for improved shopping conveniences and shaped a world-class retail experience for the locals. When asked about the future plans for the JENRA brand, Siy shared that the company is definitely eyeing to conquer the rest of Central Luzon. 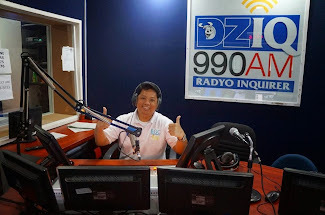 “We will make sure that the benefits we offer will not just be enjoyed by the Kapampangan locals but soon in other parts of Central Luzon,” Siy ended. JENRA started the concept of superrete in the 1970’s and has emerged as a large-scale supermarket brand. TSB Realty is the developer of JENRA establishments in Angeles City and Mabalacat. Other JENRA locations include JENRA Grand Mall, Sto. Rosario; Jumbo JENRA Angeles City Market;, Jumbo JENRA Dau, Mabalacat City; Jumbo JENRA Sindalan and Jumbo JENRA Dolores both in San Fernando City. Officially opening only the first phase of development on October 27, Jumbo JENRA Dolores already offers the biggest selling area among other JENRA supermarkets. The class of Grade 10-Ferreres was one of the 4 chosen sections (among 14 sections) to organize a fundraising concert featuring the best Filipino bands, musicians and dancers of our generation. The Ateneo Junior High School annual Katipunan Fund Drive (KFD) is a school-wide fundraising campaign organized by the Christian Service and Involvement Program (CSIP), under the Office of the Associate Principal for Student Formation (APFor), to raise funds for the victims of calamities and for areas assisted by the CSIP. With a concert title of "Gunita" (Memories), they are inviting everyone to join them in the concert on October 28, Saturday at the Ateneo High School Covered Courts starting at 7:00 PM. Gunita concert will be hosted by Sarah Patricia Gill (an ABS-CBN star circle magic celebrity/host). They have worked hard and very passionate about the project. Hopefully their class’ impressive skills will be shown as they tried to give structure to their plans. They have worked efficiently and as swift as can be expected as they do these things on top of their academic and non-academic load. By doing so, together, they aim not only make remarkable and lasting memories, but also to create and develop values that encourage love for others. See you in the concert! Smart, MLhuillier, Starmobile team up to have more Pinoys go digital. 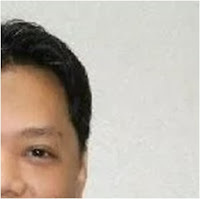 In photo are (L-R) Head of Key Accounts at Smart, Princesita Katigbak; Head of Consumer Wireless Division Sales and Distribution at PLDT and Smart, Alex Caeg; MLhuillier General Manager for Luzon and NCR Lorenzo Escanio; Starmobile CEO and chairman Joey Uy; and Starmobile President and Chief Finance Officer Uly Lao. PLDT wireless unit Smart Communications (Smart) is working with MLhuillier Group of Companies and Star Telecom Alliance Resources, Inc. (Starmobile) to bring the smartphone into the hands of more Filipinos. Under the partnership, leading pawnshop and remittance chain MLhuillier tapped leading handset vendor Starmobile to design a customized Android smartphone powered by a Smart SIM for its employees and customers. 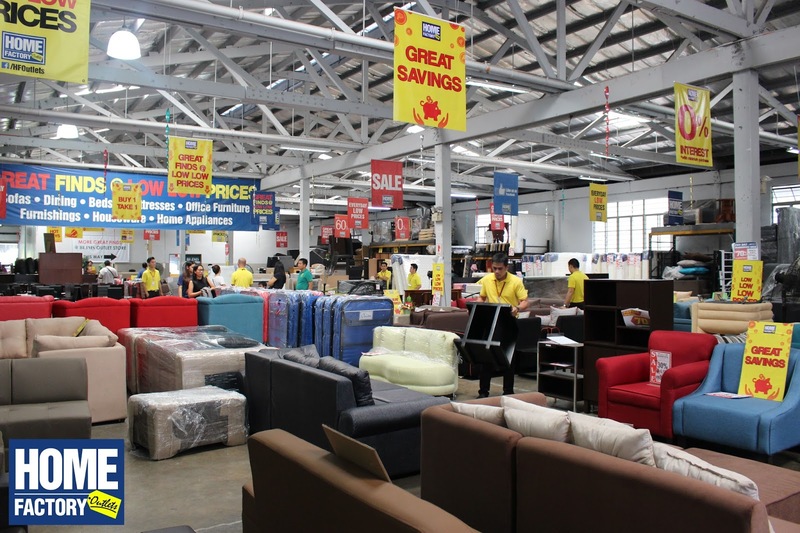 MLhuillier employees and customers to take advantage of the lucrative Smart retailer business. “This partnership is a milestone. It allows MLhuillier customers and Smart subscribers to have a better experience when using their mobile phones. With over 2,000 shops in its network, we are happy to be chosen as one of MLhuillier’s partners. Starmobile, meanwhile, has a strong record of giving good experience to its customers with its mobile handsets. We look forward to seeing more MLhuillier phones in the market,” said Alex O. Caeg, head of Wireless Consumer Division Sales and Distribution at Smart. “We forged this partnership with Smart and Starmobile to give our customers the power of convenience when they’re paying bills or sending money using the ML Wallet app. Starmobile’s customized smartphone powered by a Smart SIM allows us to use the mobile phone as a tool to further expand our financial services,” said Lorenzo Escanio, MLhuillier’s General Manager for Luzon/NCR. “In making the best technologies available at the best value, we hope to be an enabler of the digital migration of more Filipinos with the aid of the mobile phone. MLhuillier phones will be sold at a value-for-money price of P2,350. 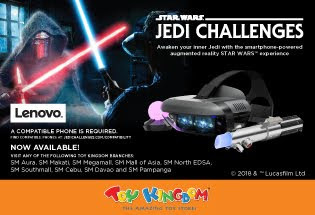 It is a smartphone with a dual SIM that is sure to give new smartphone users a great customer experience,” said Joey Uy, CEO and chairman of Starmobile. As part of the partnership, MLhuilllier branches all over the country will now be selling Smart retailer SIMs. Smart, MLhuillier and Starmobile pursued the partnership to achieve their common goal of providing the community with quality products and services. This partnership is also seen to boost the respective customer networks of Smart and Starmobile, and reinforce MLhuillier’s goal to seek other opportunities for growth within its core business. Do you want to be among the first owners of a Pagani Hypercar in the Philippines? 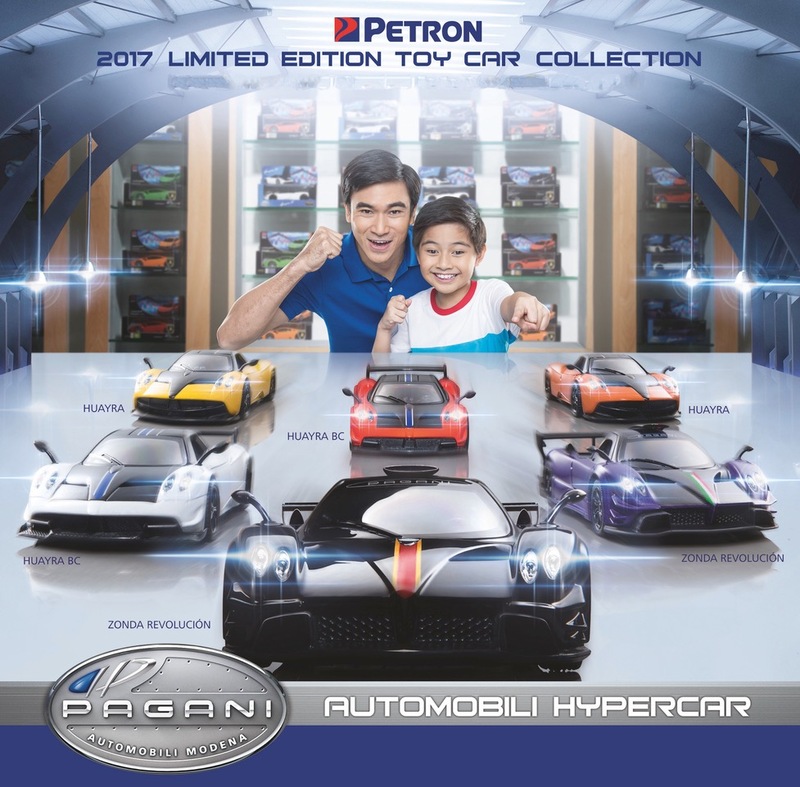 For its much-awaited year-end toy car promo, industry leader Petron Corporation’s 2017 offering will both surprise and delight avid motorsports enthusiasts and scale model collectors with its Petron Pagani Hypercar Collection. As before, every Php 500 single or accumulated purchase of fuels (Petron Blaze 100 Euro 6, Petron XCS, Petron Xtra Advance, Petron Turbo Diesel, and Petron Diesel Max) as well as engine oils (Petron Ultron, Petron RevX, and Petron Sprint 4T) at a participating Petron service station entitles the customer to buy one hypercar for only Php 300. The promo is available at 1,400 participating Petron stations nationwide, and will run from October 28 to November 11, 2017. The Petron Pagani Automobili Hypercar collection features 1:32 scale models made from die cast metal. Pushing a button opens the doors; close the doors and the car accelerates and drifts. The Pagani Zonda Revolucion is considered one of the most expensive and most exclusive cars in the world. 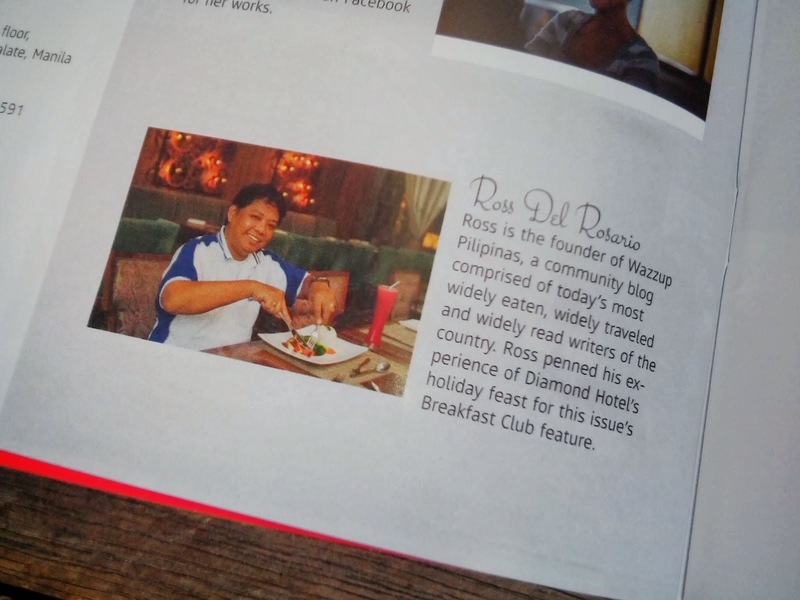 With a price tag exceeding Php 200-M, only five units were built. It sports a Mercedes-AMG 6-liter V12 engine that produces an output of 789hp and 730Nm of torque. Top speed is 350kph, and acceleration time from 0-100kph is 2.6 seconds. The Petron Pagani Zonda Revolucion toy cars are available in black and purple. The Pagani Huayra was named “Hypercar of the Year 2012” and was featured in the 2013 Transformers 4 movie. With production limited to 100 units, it retailed for over Php 100-M and was sold out by 2015. The Petron Pagani Huayra toy cars are offered in yellow and orange. The Pagani Huayra BC is a more extreme version, with just 20 units produced. Its 6-liter V12 twin turbocharged AMG engine produces 764hp and 1,100Nm of torque. For the Petron toy car collection, the Pagani Huayra BC comes in red and white. Thinking of a fun water experience to do this holiday season? Good news because passes for Inflatable Island, Splash Island and Manila Ocean Park is on sale at TravelBook.ph! Pay only two tickets for this attractions and get one for free! 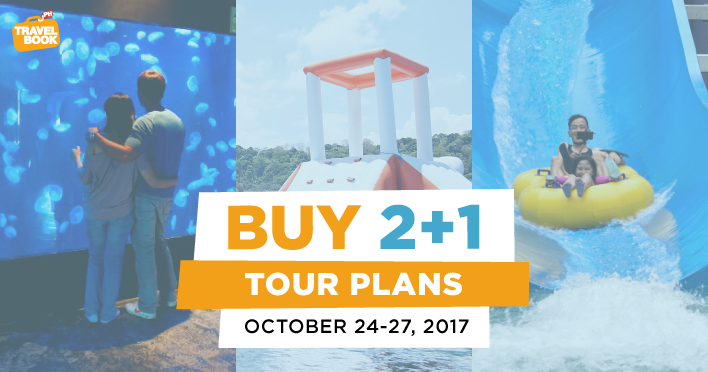 TravelBook.ph, the leading online travel agent (OTA) in the country, exclusively offers an exciting Buy 2 Take 1 Promo for customers who will avail any of the fun water activity packages offered by TravelBook.ph from October 25-27, 2017! Customers may choose from Manila Ocean Park’s Special Package, Inflatable Island’s Spray Pass or an All-Day Pass at Splash Island. 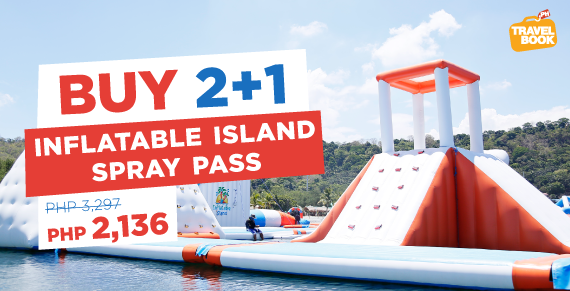 Inflatable Island, the biggest floating playground in Asia, is also on sale! Travelers who will book their Spray Pass (half day pass) via TravelBook.ph, can save up to 35% as the package only cost PHP 2,136 for 3 pax. Travelers can play around their floating playground that consists of 15 fun stations made of slides, trampolines and inflated obstacle course. Apart from their floating playground, travelers may also enjoy their Floating Zoo, or take a quick dip at Samba Beach or have a good tan at Bali Lounge. 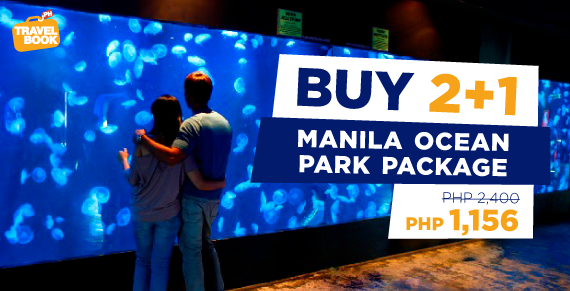 Travelers who will avail of Buy 2 Take 1 Promo for Manila Ocean Park’s Special Package will only pay PHP 1,156 – that’s 52% cheaper than the regularwalk-in rates. Customers who will purchase this package will be given access to six exciting attractions within Manila Ocean Park such as their Oceanarium, Symphony Village Show, Sea Lion Show, Yexel Toy Museum, Trails to Antartica, Penguin Exhibit and Christmas Village. 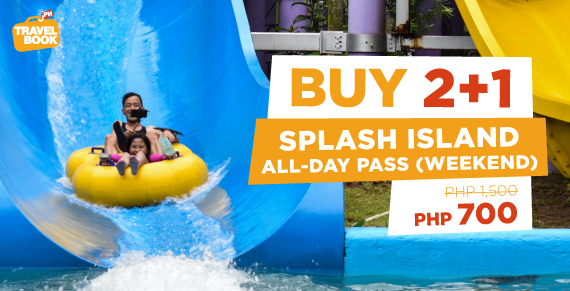 Travelers interested to spend their weekends at Splash Island may also avail of the Buy 2 Take 1 Promo! If they book their All-Day passes at Splash Island via TravelBook.ph, travelers will only spend PHP 700 pesos, giving them 53% discount compared with its regular walk-in rate. The customers are given access on the colorful slides, fun pools and other amenities within Splash Island. Apart from these fun water activities, TravelBook.ph also offers a wide variety of exciting tours, activities and travel plans available nationwide! 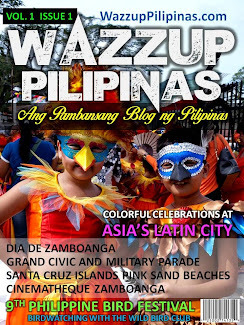 TravelBook.ph doesn’t stop in just providing a wide selection of tour plans to choose from. They also make sure that they give the best price possible in every deal that they offer. What are you waiting for? Hurry and book your tours at TravelBook.ph now! For more exciting yet affordable tour plans, please visit www.travelbook.ph/tour. 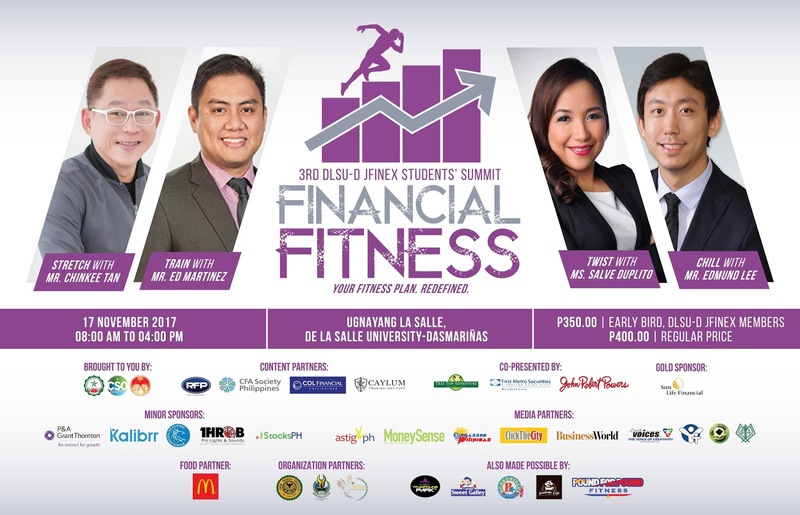 Prepare yourselves as the De La Salle University - Dasmariñas Junior Financial Executives (DLSU-D JFINEX) once again invites students all over Luzon to the 3rd DLSU-D JFINEX Students’ Summit: Financial Fitness to be held at Ugnayang La Salle, De La Salle University – Dasmariñas. This year, experience the best as it gets better with some of the most esteemed figures in the world of finance including Chinkee Tan, Ed Martinez, Salve Duplito, and Edmund Lee as they introduce four different routines: Stretch, Train, Twist, and Chill, which are essential to better understand what it’s like to be financially empowered. This time, it’s no pain, go gain! Elevate your competence and reach for the summit this November 17th. The Junior Financial Executives Institute of the Philippines is the premier finance organization of De La Salle University - Dasmariñas. DLSU-D JFINEX is committed in upholding its mission to provide activities which serve as avenues for the students’ gradual exposure in the fields of investing and finance driven to foster intelligence and break barriers to empower the youth of today. For inquiries and updates, please like our official Facebook page (www.fb.com/dlsud.jfinex/), our official event’s Facebook page (www.fb.com/JFINEXSummit/), and follow our Twitter account (https://twitter.com/jfinexdlsud). Big Sale-Bration: Home Factory Outlets’ 2nd Anniversary Sale! Shoppers, rejoice- Home Factory Outlets 2nd Anniversary Sale is coming! HOME FACTORY OUTLETS (HFO) has been up and running for two whole years! 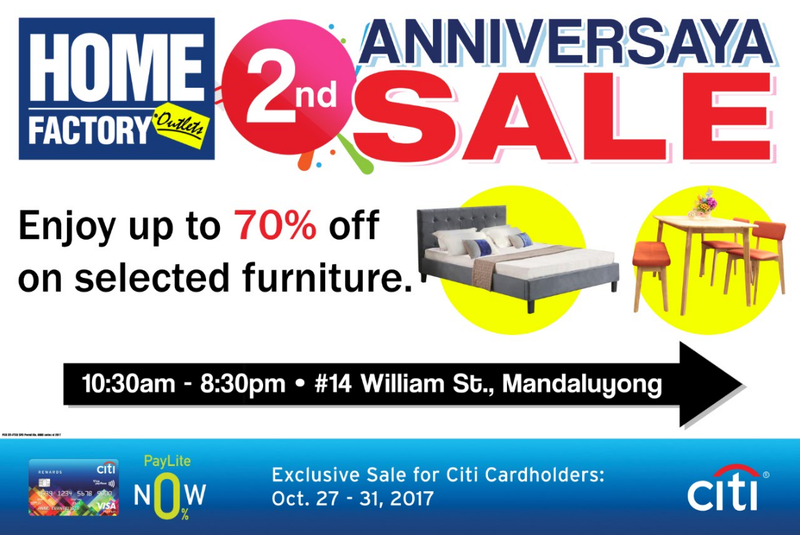 And to celebrate its second anniversary, Home Factory Outlets (HFO) is having a HUGE SALE where everyone can surely enjoy amazing deals from Oct. 27-31! Over the past two years, HFO has been the shopping destination of wise shoppers who are seeking great finds at the most affordable price! HFO is the country’s pioneer mall designed to cater factory overstocks, floor models, and unbelievable finds at up to 60% off daily! And now, as we turn 2 year old, we will be giving more exciting deals and offers to our shoppers! HFO is a 3,000 sqm concept mall that offers a wide range of products at reduced price- from sofas, dining, beds, mattress, office furniture, furnishing and home appliances from participating retailers from participating retailers like BLIMS Fine Furniture Outlet Store, Sogo Home and Office Center Clearance Outlet, Elba Outlet Store and Famous Brands Outlet Store (which carry brands such as Dowell, Thermos, Moulinex, Krups and Eglo Lights among others). Find the best of everything for your home with HFO 2nd Anniversary sale! This Big SALE-Bration will not disappoint you. See you there! Elmo Magalona renews his recording contract with Universal Records executives on October 24, 2017. Present during the contract signing were Universal Records Operations Manager Peter Chan, General Manager Kathleen Dy-Go, Elmo Magalona and Elmo’s momager Pia Magalona. Elmo signed with Universal Records in 2015 and the partnership has produced the Gold-certified debut self-titled ELMO. Elmo is currently working on new materials for his upcoming album which will be released very soon. Elmo was last seen on #MMKLiftedByLove episode and will soon be seen in Regal Films’ My Fairytail Love Story with onscreen partner Janella Salvador. This week’s new episode of Asia’s Got Talent promises some weird and wonderful acts with a Halloween twist! Airing this Thursday, 26 October at 8:30pm on AXN, Pinoy viewers will be enthralled by the nation’s very own Urban Crew who took a break from teaching street children in Manila to take the stage in the world’s biggest talent show. Urban Crew wants to use the power of Asia’s Got Talent as an important platform to inspire kids and the youth to follow their dreams and stay out of trouble. But with the slots filling up fast, can Urban Crew score a space to get into the semi-finals? Tune in this Thursday to find out! Acts from this season of Asia’s Got Talent are already in the zeitgeist of watercooler conversations. Jay’s Golden Buzzer, ADEM Dance Crew, has racked up 14 million views on AXN Asia’s Facebook page since the premiere, with clips of the other acts going viral globally. 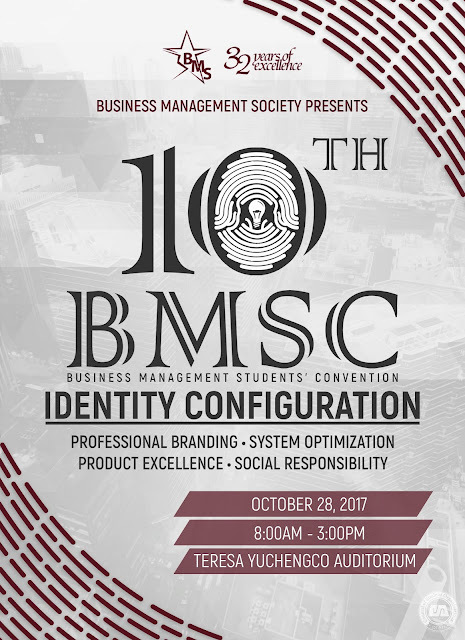 Since 1985, the Business Management Society (BMS) has shared its own identity as one of the top professional organization in DLSU by providing LaSallians only the best avenue for the holistic development of aspiring business leaders. Introducing a theme that integrates the core pillars of the organization and the methods used in the corporate world, IDENTITY CONFIGURATION tackles how a business entity establishes its own unique individuality that defines it as a competent collective unit. Along with four sub themes namely PROFESSIONAL BRANDING, SYSTEM OPTIMIZATION, PRODUCT EXCELLENCE & SOCIAL RESPONSIBILITY, the convention will serve to equip the students with new learnings for future business ventures. Join us this coming October 28, 2017 (Saturday) at the Teresa Yuchengco Auditorium from 8:00AM to 3:00PM. Oktober ist Hier: Taste Authentic Oktoberfest Bier at the Draftoberfest! Germany’s famous Oktoberfest has made it to our shores – and in the most authentic way possible! Originally held in late September to early October in Munich, Germany; millions of people all over the world attend Germany’s Oktoberfest, the biggest annual beer festival in the world. During this event, people drink a lot of Oktoberfest Bier and enjoy various attractions, including traditional food stalls, amusement rides, and carnival games. 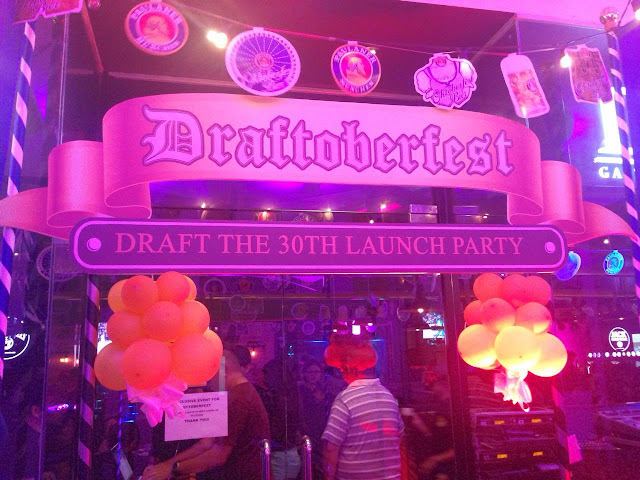 While a lot of other places in the country celebrate this festival, as well; Draftoberfest is set to provide the most authentic Oktoberfest experience in Manila by serving Paulaner Bier, the ONLY authentic Oktoberfest Bier available in the country. After all, Oktoberfest should be about German Biers more than any other imported or local beers in the market. From alcoholic to non-alcoholic Paulaner Hefe-Weißbier, the iconic Paulaner wheat beer, to Paulaner Münchner Hell, a true Munich icon, to Paulaner Salvator, the forefather of all strong beers; there is only one original Oktoberfest Bier: Paulaner.